As a personal trainer I spend at least a portion of every single day in a sports bra. As you can imagine I’ve become a bit of an expert on which brands and styles offer the best support for their price! When Women’s Health Magazine asked for recommendations from professionals it was a no-brainer for me! 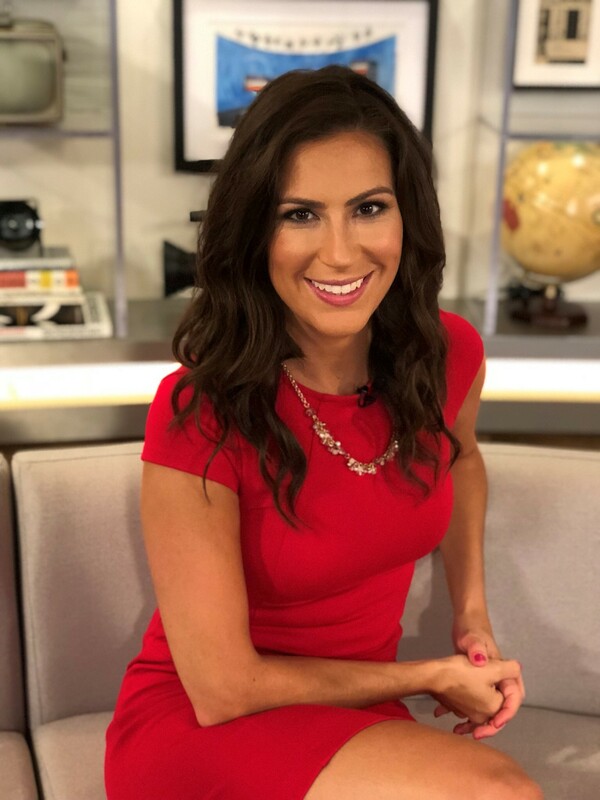 As a private weight loss coach for women in Chicago and across the country, I enjoy contributing as a health and fitness expert for many online publications. I love helping women find the best options available to help them reach their health goals and enjoy the process along the way! Check out a few of the most recent articles I’ve been quoted in below. Click here to see which sports bra got my vote for a high impact workout in Women’s Health Magazine online. It’s both important to stay well-hydrated throughout the day and to fuel up before a workout. But do you know which kinds of drinks to grab on your way to the gym and which you would do better to avoid? Turns out there are 12 things you should never drink before a workout. Find out what they are on the Eat This, Not That website here. Looking to Spice Up Your Workout? Check out these killer moves from SELF magazine that top celebrity trainers use for their A-List clients! Click here to find out why (and how!) you should incorporate a slam ball into your exercise toolbox. Target your core more intensely and squat deeper with the single-arm kettlebell rack squat. Click here to read up on how to perform this new move safely and make those fitness gains! Celeb powerhouse Jessica Biel recently showed off this ultra-challenging move on her Instagram page. Read my thoughts on this front and back body total burner here. It’s an advanced movement, so I’ve included my recommended starter exercise to build your strength and mobility up for future one-legged squatting success! Try out a new sport or athletic activity. 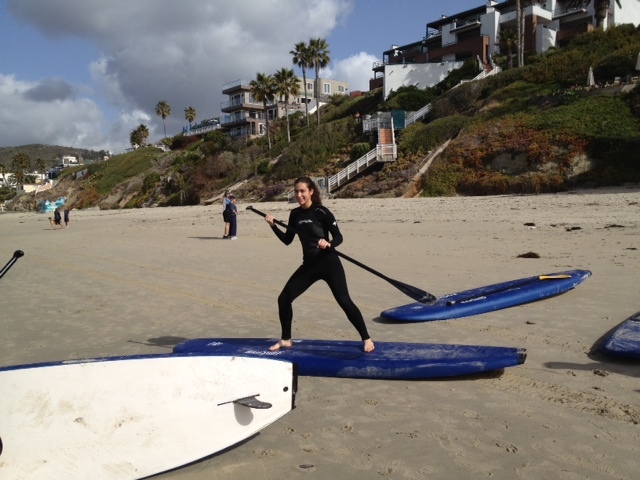 Last time I was in California, I tried out paddle boarding and loved it! ñ While at the buffet, look for food items you can stash in your bag for later…Things such as fruit, boxes of non-sugary cereal, bacon (wrapped in napkins! ), a chicken egg roll (not the healthiest option, but still full of protein), and a few bran muffins. ñ DO NOT show up starving. This is a TRAP! When you are starving and presented with a large amount of food, you head straight to carbs and sugar. ñ DO take things to go. A lot of times we feel like we need to get our money’s worth at buffets or all-you-can-eat places. Instead, bring a little container or wrap some food in a napkin to munch on later. ñ One glass of water after one alcoholic beverage. That is the #1 Rule to preventing a hangover! ñ Next, make sure you are hydrated throughout the day. Places like Vegas are SO dry that it is very easy to get alcohol poisoning or really sick after a few drinks. Make sure your liver and organs have tons of water to process all of the toxins from your drinks. ñ Eat something before you go out! It does not need to be a gigantic meal – but eating a light meal ensures that your body is ready to function and is more prepared to handle whatever else you are putting into it! Remember, this vacation is YOUR vacation! There are no schedules, no obligations, no mandatory things or commitments you need to oblige to. YOU set your own rules. Prior to your vacation, think about what your goal is for the vacation. Is it to sight-see, relax, enjoy the company of those you’re with? Whatever your goal is, include some aspects of what makes YOU most happy and helps you accomplish that goal of your vacation.